I'm using ArcMap. I've read the messages related to this topic but they don't take me far enough. Most of the advice is related to species distribution, but I need to create a species richness map. 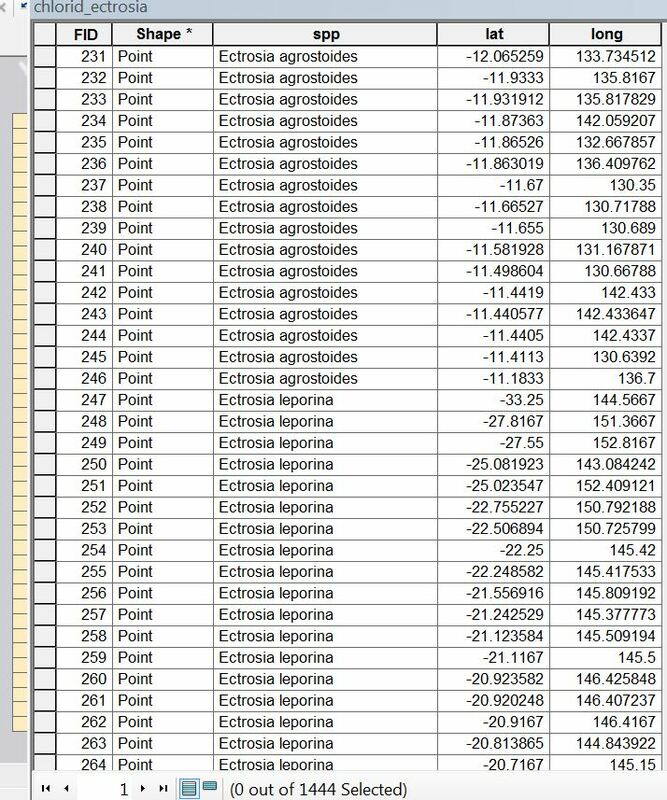 I need to be able to say, for example, that in grid cell P there are 5 species (a to e), and in grid cell Q there are 22 species, even though in P there may be 200 records for species a, 100 each for species b , c and d, and 10 for species e. I'm simply wanting presence/absence of species, then a count of presences in any one grid cell. I have created a fishnet 1 deg x 1 deg for Australia. I have 5 shapefiles for the separate species, but I also have a single shapefile with all the species in it (AS IN THE IMAGE ATTACHED). Each individual record has lats & longs. I have tried to merge the shapefiles and the fishnet by doing a spatial join with ONE_TO_MANY, but the resulting attrib table is not listing or counting concurrent species. Create an ID column for the fishnet if you dont have one (Add field, Field Calculator or Edit). Spatial Join with the merged species points as target features and fishnet as join features with options JOIN_ONE_TO_ONE and Keep all target features. Not the answer you're looking for? Browse other questions tagged arcgis-desktop vector-grid density or ask your own question. Summing up over area based on distance related function? How can I create a valid probability map of species distributions based on presence/absence data from multiple quadrats? 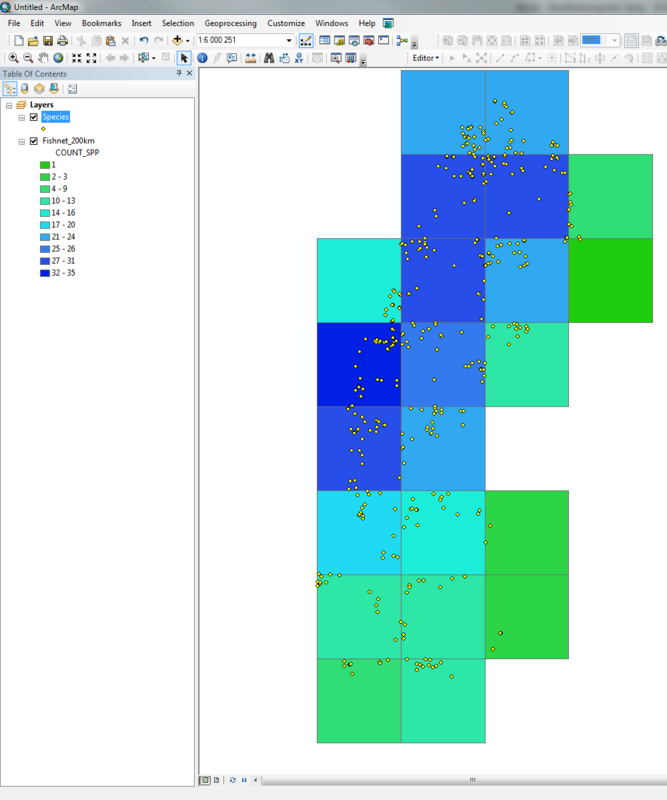 Can I extract x and y co-ordinates that represent presence/absence using ArcGIS?